Ireland's Shire Pharmaceuticals on Thursday faced the prospect of a bidding war after rejecting a $60-billion takeover from Japan's Takeda, as Botox-maker Allergan revealed it was mulling an offer. Shire, which is based in Dublin but listed in London, said in a statement that it had rejected three takeover approaches from Takeda because they all "significantly undervalued the company, its growth prospects and pipeline". Takeda's latest cash-and-shares offer valued Shire at £42 billion ($60 billion, 48 billion euros) and was pitched at the equivalent of £46.50 per share. 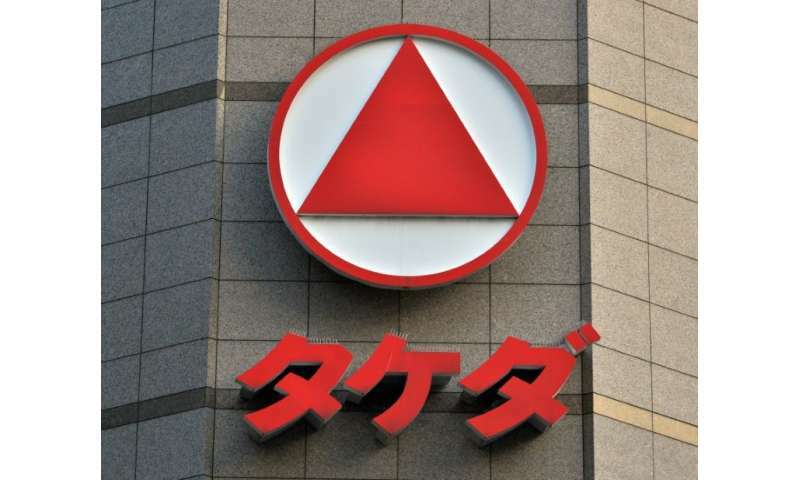 "Takeda ... confirms that on April 12 it made a revised proposal to the board of Shire to acquire the entire issued and to be issued share capital of Shire," the Osaka-based Japanese group said in a statement. "Takeda was subsequently notified that the board of Shire had rejected its proposal. Discussions between the parties regarding a potential offer are ongoing." Shire added that its advisers have entered a dialogue with Takeda to discuss "whether a further, more attractive, proposal may be forthcoming". Shortly afterwards, fellow Dublin-based pharma giant Allergan announced that it was also mulling a takeover tilt at Shire. "Allergan confirms that it is in the early stages of considering a possible offer for Shire," it said in its statement. "No offer has been made. There can be no certainty an offer will be made nor as to the terms on which any such offer would be made. The news sent Shire's share price racing as high as £42 on London's rising FTSE 100 index. However, it pared gains in late afternoon deals to finish at £39.75, up 5.89 percent from Wednesday's closing level. That was significantly below Takeda's latest offer. "We might see a bidding war on our hands as Allergan are allegedly interested in bidding for Shire," noted CMC Markets analyst David Madden. "This comes at a time when Shire rejected a bid from Takeda. The pharmaceutical sector is prone to these sort of play—where takeovers are an effective expansion method, epically when patents are running out." He added: "Allergan is relatively light in cash and heavily indebted, so there are no guarantees (that its offer) will transpire." Shire shares had also soared in early morning trade on the London Stock Exchange as rumours of the deal began to emerge. Allergan shares were down more than 5 percent in midday trading in New York. The news comes after Shire announced on Monday the sale of its cancer division to French peer Servier for $2.4 billion as it unloads non-core assets. Thursday's news comes amid a flurry of merger and acquisition (M&A) activity in the pharmaceutical industry, at a time when traditional players are seeing profits eroded by competition from generic medicine. Japanese drugmakers in particular are facing pressure in the home market as the government tries to cut prices of many branded medicines and put greater focus on cheaper generics to rein in health spending as the population ages rapidly. Shire added Thursday that Takeda had first approached it on March 29 with an initial offer, which was subsequently revised twice earlier this month.